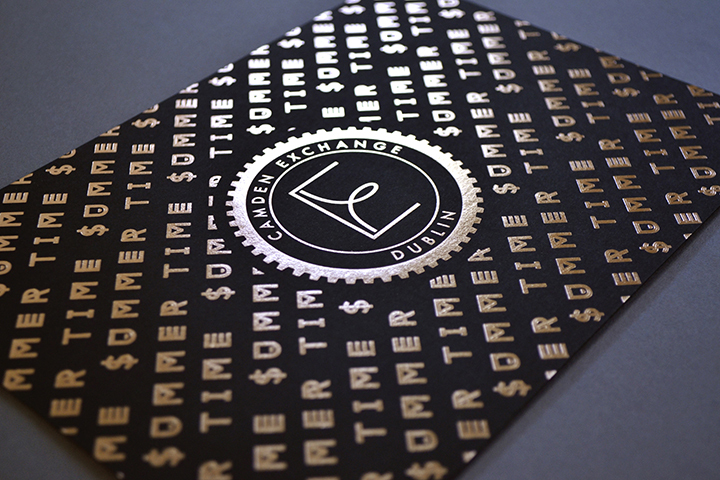 After developing an new Brand identity and name for a new venue on Camden Street ‘The Camden Exchange’, the studio was requested to develop a low budget invitation for the opening night of this creatively inspired bar, restaurant and meeting house. 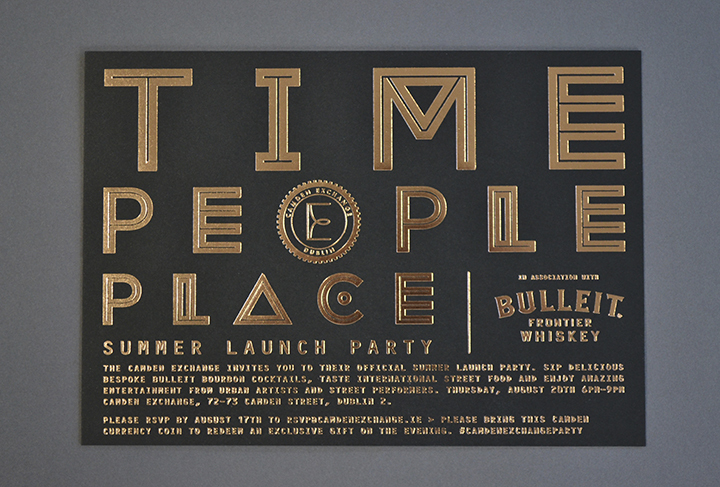 The identity was developed around the concept of creative/corporate crossover extruded by the history of the premises being a bank owned for many years by a former swiss clock maker. 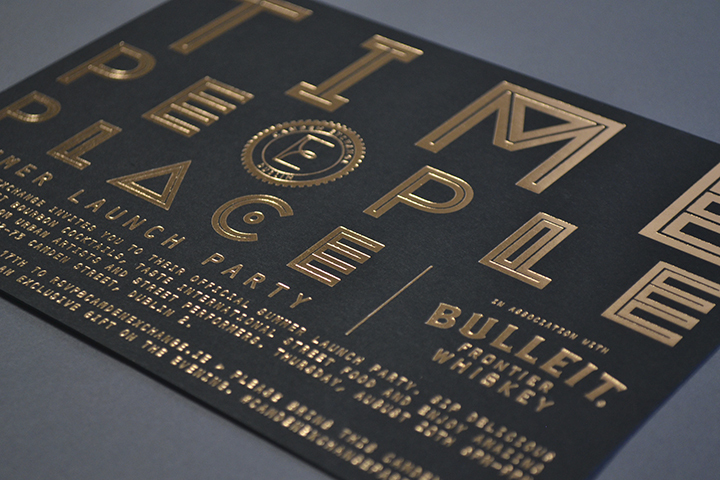 The artistic industrial style was communicated using a simple copper foil emboss on black card. 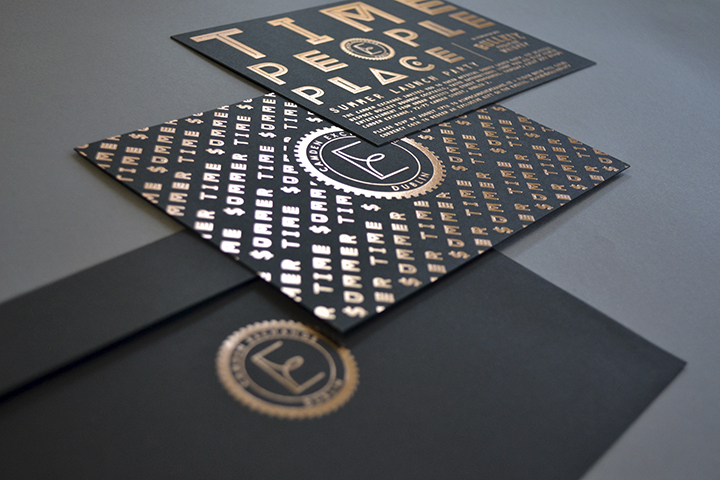 500 invites were produced.